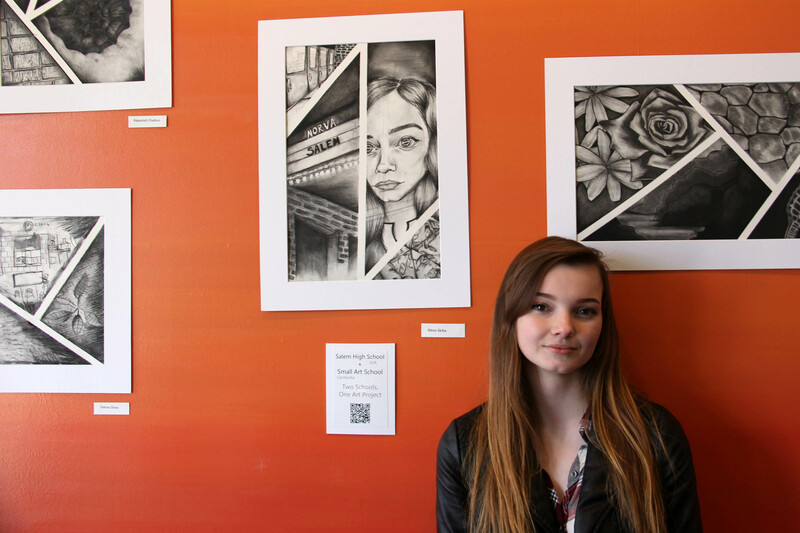 Jasmine Crispin had never sold her artwork before. Then again, she’d never tried. 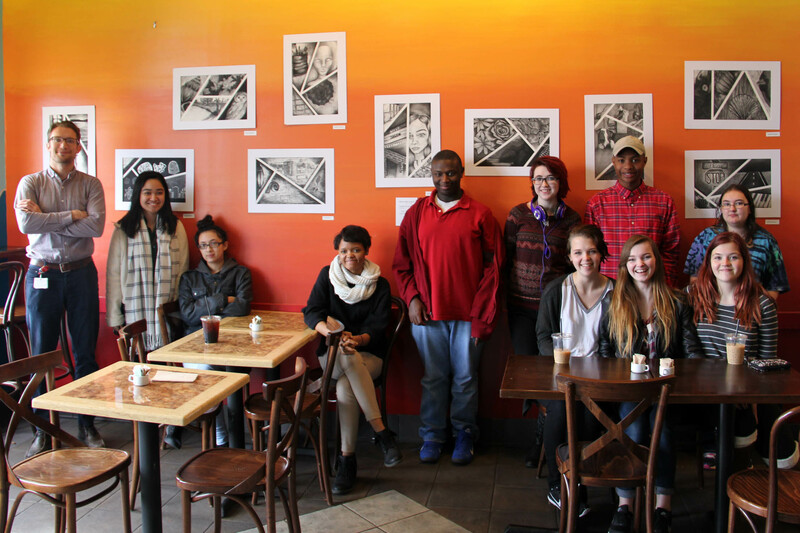 The Salem High School sophomore had one such opportunity when she and her art classmates visited the Java Surf Café in Virginia Beach to see their artwork on display. The coffee shop’s assistant manager admired all of the charcoal drawings for weeks, but she was partial to the one by Crispin, featuring a rose to represent the high school artist’s middle name. Flattered and little bewildered, Crispin accepted the offer to sell her piece and agreed to sign the artwork at the assistant manager’s request. Salem High School art teacher Jared Boone asked the local business if it would exhibit student artwork related to his Two Schools, One Art project. Salem was one school and the Small Art School in Siem Reap, Cambodia was the second. It provides free art lessons to underprivileged children. He replicated the summer project with his Salem students in the fall and is working with the Small Art School founder to encourage student communication about their shared artwork, respective cultures and artistic processes. “The focus is on texture, line and value, but the snapshots that you see in each four of the areas that they break apart are supposed to be glimpses into their contemporary teenage lives,” explained Boone. In Crispin’s artwork, her rose was joined by a seahorse, cliffs on beach and a stone pathway. “I drew that because I’m hardheaded,” she said of the shaded stones. “And they’re closely fitted together. It’s like they’re holding each other up.” Crispin credits friends and family as being her stabilizers. “He said to draw what you see everyday, so I just drew a picture of me,” she said smiling. In addition to the self-portrait, Skiba’s work featured a marquee, school doors and food. Sisters Becca and Kelly Van Deven each featured piano keys in their artworks. 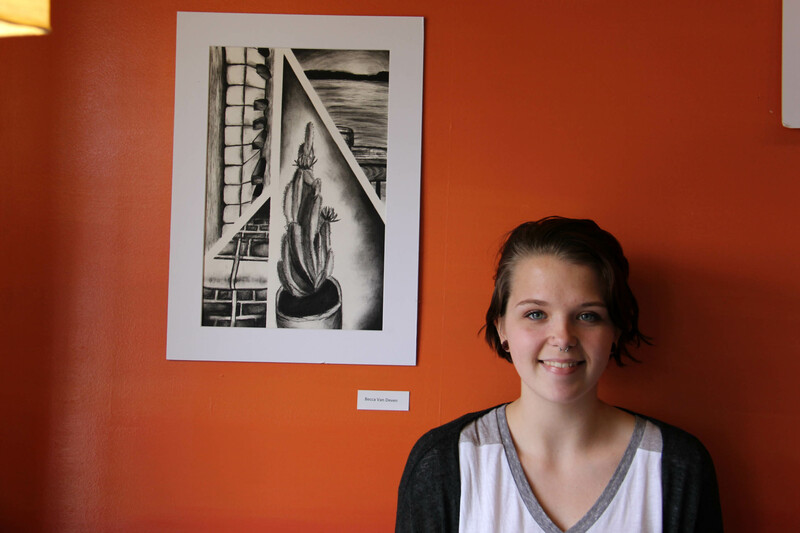 Both are music students in the Visual and Performing Arts Academy at Salem though they seem to exhibit talent in the visual arts as well. Horticulture, however, is not one of Kelly’s talents. The view from a dock illustrated in one quadrant provides a glimpse of Stumpy Lake. “I spend a lot of time there and it has a lot of meaning for me. It’s beautiful,” Kelly said. “Everyone thinks of the beach here, and the beach is really important to me, but Stumpy Lake is a different kind of nature that you can get here. Like the watershed and surrounding areas,” she added. Students sharing information about their respective communities, their cultures and their artwork is a focus of project. Boone thinks it is one that teachers can replicate, and he hopes to share not only the lesson plans he developed but also his lessons learned. 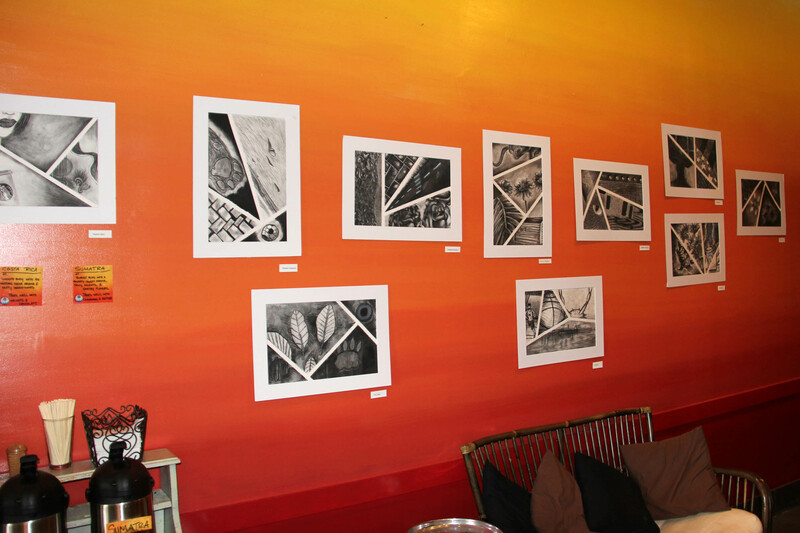 The Java Surf Café exhibit was another means for Boone to spread the word. 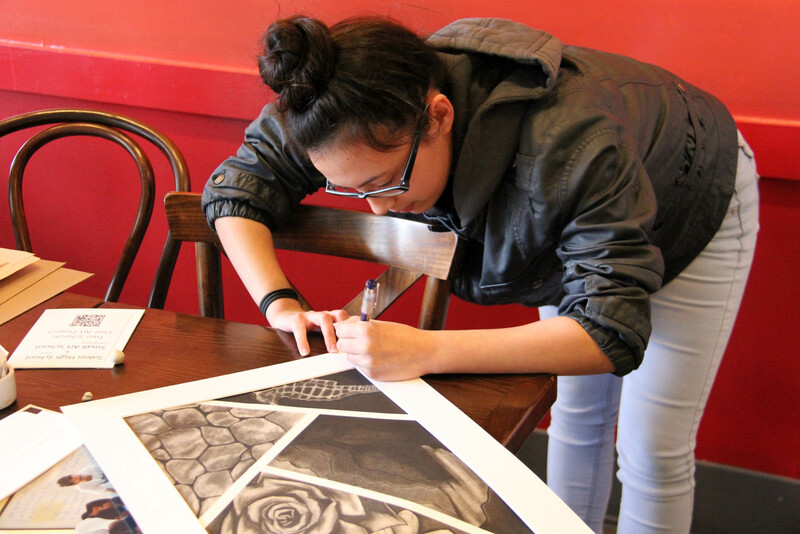 In fact, the owner agreed to showcase Salem students’ artwork every February in an ongoing partnership. Boone was awarded a Virginia Beach Education Foundation (VBEF) grant to support this project. The Kiwanis Club of Norfolk Foundation and the Dr. Sheila Magula Fund were grant underwriters. For more information on how you can support creative and innovative learning projects in Virginia Beach City Public Schools through the VBEF, contact VBEF coordinator Debbie Griffey at debbie.griffey@vbschools.com or 757-263-1337. I have such a talented grand daughter Jasmine Crispin. She is also a member in the Orchestra and plays the Violin. I am so proud of her.